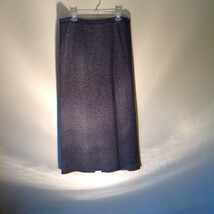 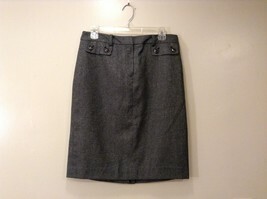 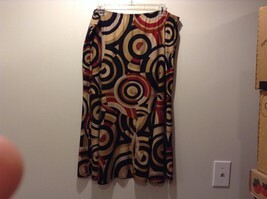 Ladies super cute, flared skirt by D.F.A. 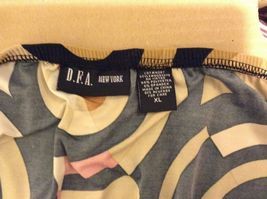 New York in good condition!! 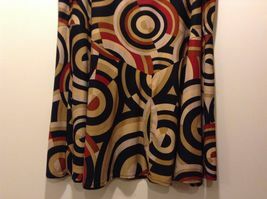 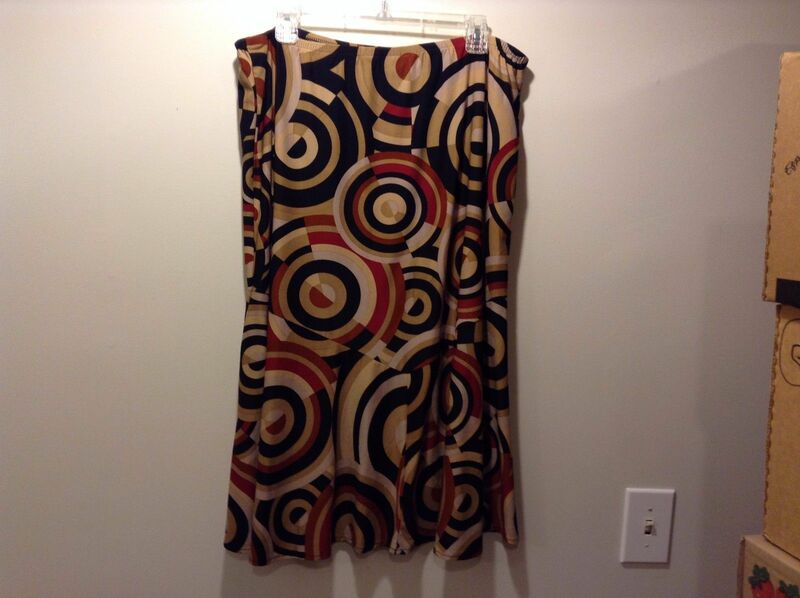 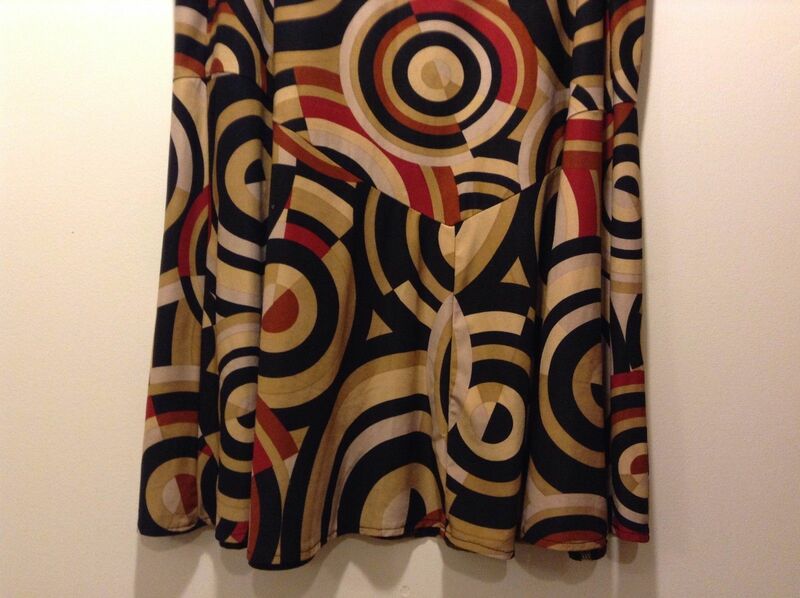 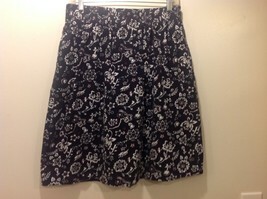 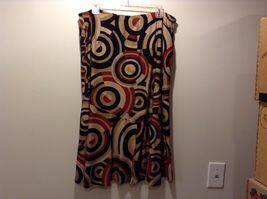 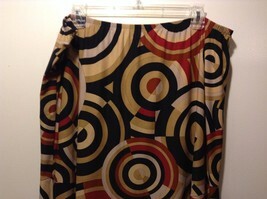 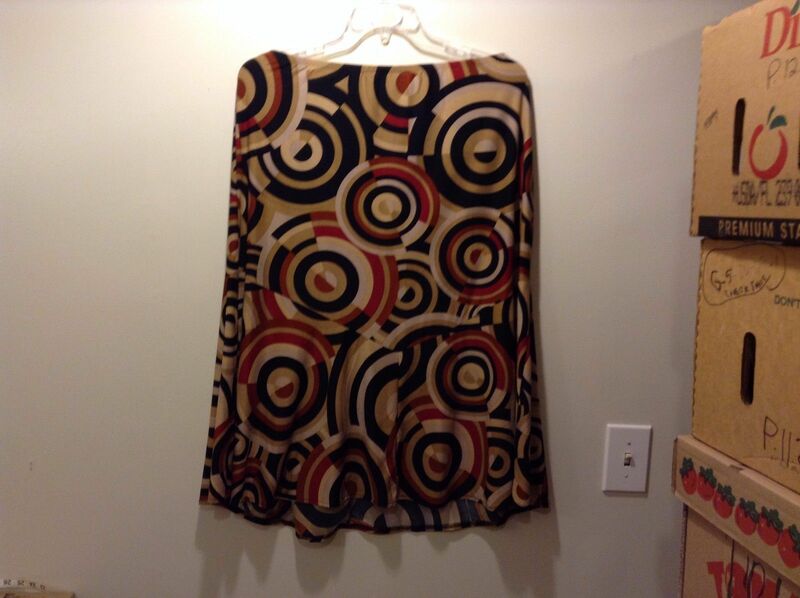 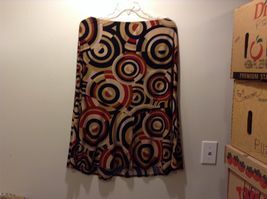 Skirt has circular patterned print design, has black, red, gold and tan coloring and is an XL!! 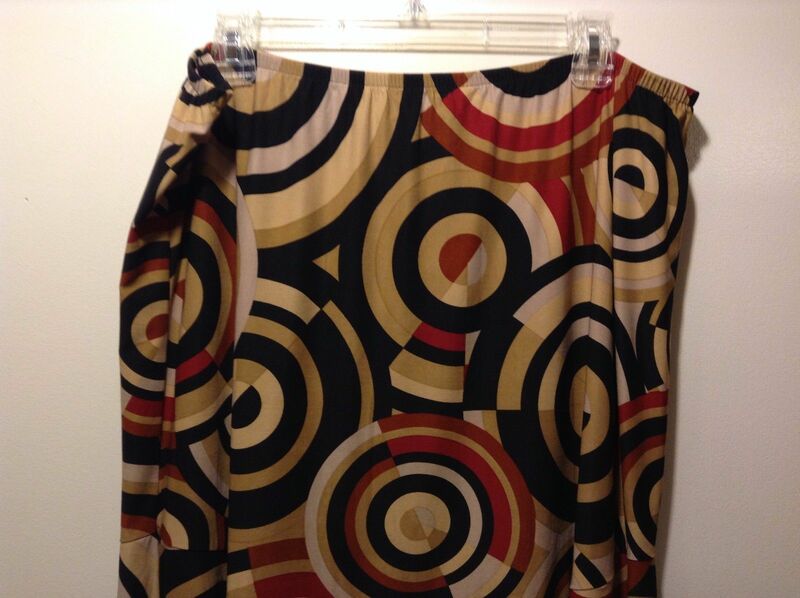 Skirt is stretchy/comfy; material 94/6% poly-spandex.